Are the Giants one of those teams? Com'on, we all know it's BS. A fraud claiming to be "in the know" so he gets a following. It isn't the Jags--they are signing N.Foles (Julio heard this from his insider). After signing Foles, the Jags will absolutely not take a QB in round 1. You never know. Some teams like to have multiple options at qb. Worst case scenario they trade one. We never know who these teams like. I remember a few years ago there were handful of teams liking Mahomes. Out of no where the Chiefs trade up and drafted him They weren’t in the conversation because they had Alex Smith. Question is who are they and where are they currently picking and how many teams gamble a let picks continue to come off the board before someone gets Ancy and trades the farm to move up. Its a pretty weak class in QBs, and I don't know if teams would want to trade up for any of them. I think teams would want to trade up to get one of the top defensive players as opposed to trading up for Haskins, Jones, Lock. It's a good thing FA comes first so some teams might eliminate themselves with getting Foles/Flacco/Tannehill and it leaves a better guess as to who might need a QB from the kids in the draft. Again, the fact that the overall Qb class is weak is not an argument about Haskins, or even Lock. Looking at the body of work of Haskins and Lock in college, at this point they are solid enough prospects that some teams would have valued them above some of the QBs who went in the top 12 of last year's class. If you can look at Josh Allen going 7th overall in 2018 and think that was an ok pick there is no way Dwayne Haskins isnt better rated based on his college performance. Lock is at least comparable too, if not further along. maybe this will change and some red flag will appear at the combine for Lock or Haskins, but right now, they are ahead of where Allen was prior to the combine. Just as an example everyone would admit the The 2017 QB Class was considered pretty weak at the time, but it yielded Mahomes, Watson and Trabisky. One last thing tho, reports like this about teams allegedly loving a prospect are just as likely to be nonsense as not. After all, what better way is there to spur interest in someone trading up for one of these guys, which would increase the value of the early picking teams? "Two teams in Top 10 reportedly 'in love' with Dwayne Haskins"
Please don't be the Giants. Please don't be the Giants. Please don't be the Giants. I think you're wrong and I think you're trying to create a reality it coincides with what you want. Only two things could make the Giants go quarterback: Eli is completely washed up; or Haskins is in a class with Andrew Luck. I think the latter is more likely than the former, but still unlikely. I think things are going to break in our favor, just a hunch nothing solid,I don't think a quarterback goes top five. Then with the Jaguars picking in back of us that number 6 pick becomes very valuable to a team like Denver Denver. I think we could trade down get their second rounder and maybe still get the position player we want because quarterbacks, at least in that scenario, are likely to go with a 7th an 8th round pick. And if quarterbacks go early or someone trades into those spots, even that's a win-win, because then a better position player slides to the six spot. I don't think that Kettleman has ever traded down. But if the quarterback that Denver wants and they think the Jags will pick him that number six pick will be worth a fortune to them. Gettleman has never traded down, it's not starting this year. with no QB or future . was doing so for a QB , not for Barkley , he's not doing it this year. While I find reports like this fake news more often than not, I do think that nobody can argue that Haskins entering the draft doesnt helps the Giants prospects regardless of whether they like Haskins not. In the scenario that the Giants do want a QB this greatly opens up the chances that there will be one of the 2 top prospect available. 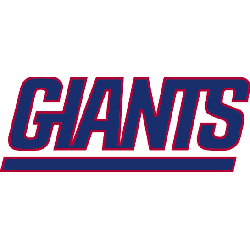 However, if they do not like any of these QBs, the mere fact that everyone thinks the Giants are 100% in the market for one will force other teams to consider trading up ahead of us, leaving other prospects available. So keep reports like this coming, even if they are fake. 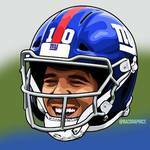 Personally I think Gettleman and the Giants are terrified of cutting Eli. All the media and attention it will bring the team. Gettleman keeps saying best player available and best value. If that’s true QB has by far the most value out of any position in the draft. So we all can argue until we are blue in the face. Most of what Gettleman tells us is just that. Telling us something but know where near the truth of what they truely are thinking. The combine and pro days don’t change boards much. Most teams boards are close to where they need to be just by looking at the tape. The combine is there opportunity to talk with the player and pick his brains a little and get medical on them. Should we draft QB at 6? Yes. Haskins should have good value at 6 and he can sit and learn behind Eli. Even if they let him play out his contract at full price and I imagine they will. Can i ask what the plan is if they dont draft a QB this year ? Eli contract will be expired after this year, unless they extend it. you can't count on the 20 draft , as there is no way to tell if they will be in position to draft a QB. That’s the million dollar question. I have been screaming for QB for 3 years now.